Condensing millennia into a slim volume is no mean feat but this tome manages to cover some 5,000 years in 138 large format pages, with full-page colour pictures to boot. With surprising detail, author Liu Tong traces the origins of tea back to the mountainous regions of China and its legendary beginnings as an accidental drink for China’s father of herbal medicine and agriculture, Shen Nong, who then shared his discovery. We have much to thank him for. Across different chapters the book provides an overview of the growth and harvesting of tea and its rise corresponding with its popularity with emperors and monks, particularly Taoists and Zen Buddhists. There is also a strong connection between tea and Chinese culture, from its porcelain and ceramic industry to teahouses, and even the advent of fast food. 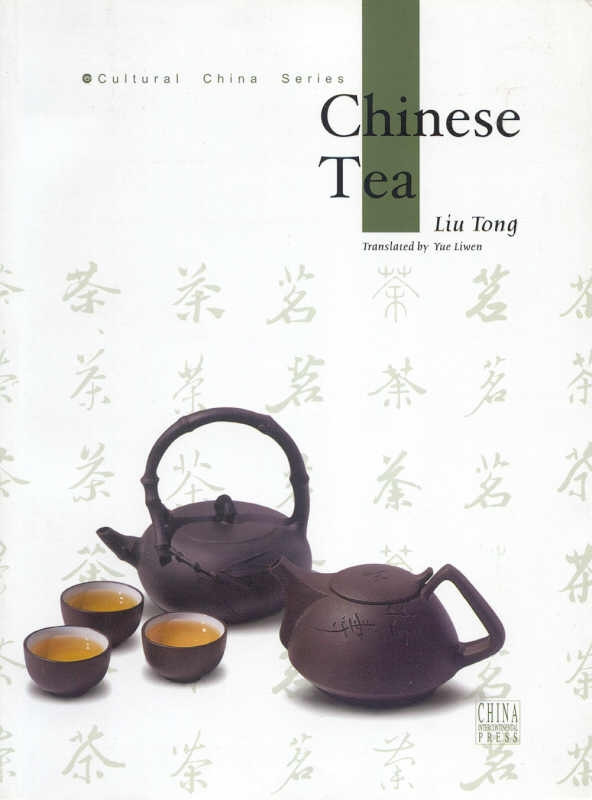 The book also covers some of the major figures and periods of China’s tea history, from Lu Yu, who literally wrote The Book of Tea, and the Song Dynasty, where tea became popular and more refined, through to important improvements in tea processing and trading. There is so much to learn here that even the most advanced tea scholar will pick up one or two things they didn’t know, or perhaps even an alternate telling of a legend. The images are also largely beautiful and expressive showing aspects of tea such as the high mountains where it is often grown, plantation workers at harvest and elegant teaware throughout history. Written differently, this book would have been a great beginner’s reference for Chinese tea. As it is, there’s too much in it that’s hard to locate and make sense of, plus it lacks an index. Overall, it’s a worthwhile read if you feel you can get through some odd phrasing. I’ve used it as a starting point to pursue other points of interest, for example Shen Nong and Lu Yu as historical figures, and I feel that’s where its strengths may be. This entry was posted in books and tagged China, history, Lu Yu, review, Shen Nong. Bookmark the permalink.